Hidden Figures portrays the lives of three “human computers” during the “space race” between the United States and Soviet Union. This powerful story based on true events is a wonderful viewing experience for the whole family. Hidden Figures follows three African-American women who were “human computers” for NASA at the start of the space race between the United States and Soviet Union. 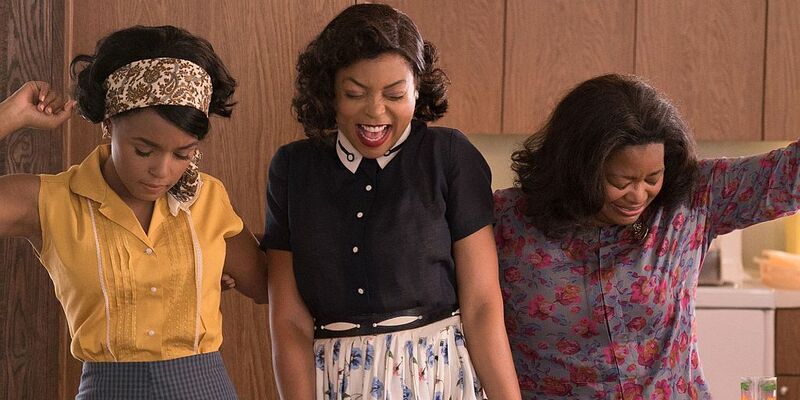 Dorothy Vaughn (Octavia Spencer), Mary Jackson (Janelle Monáe), and Katherine Johnson (Taraji P. Henson) must overcome institutional segregation and racism while providing vital mathematical data for NASA’s space program. When the trailer for Hidden Figures first hit the Internet last year this was a film I knew I had to see. My interest in NASA combined with a cast of extremely talented actors and actresses made this film a “must-see”. I was immediately drawn to the characters in the second scene of the movie. Here are three African-American women stuck on the side of the road when a white police officer shows up. The scene demonstrates the ingenuity these women must have needed to survive in a white, male-dominated environment. All of the actors put in grade A performances and the soundtrack is upbeat and pairs with the movie well. Some of the scenes include some stock footage from NASA that wasn’t cleaned up very much and there’s one scene where a CG rocket is on the screen and it’s obviously a CG rocket. One of the things that really stood out to me was how the civil rights movement was portrayed. Instead of showing the violence, the filmmakers chose to show peaceful protest indicative of Martin Luther King, Jr.’s vision. It was a refreshing and powerful. I won’t deny that tears fell from my eyes more than once. If you’re looking for a film you can show your whole family that portrays positive female role models watch Hidden Figures today! Don’t miss this one!